From the Manufacturer: With USB ports popping up everywhere you look, you need a simple and reliable way to store and share your photos, videos and music on the fly. The SanDisk Cruzer Glide USB Flash Drive is your answer. Because it works with virtually any computer or electronic device with a USB slot, this flash drive lets you leave your laptop at home but still take your vast amounts of content with you to share with family and friends. Whether you need to transport your latest MP3 downloads, vacation videos, or your college thesis, the SanDisk Cruzer Glide USB Flash drive offers portable storage that you can trust. 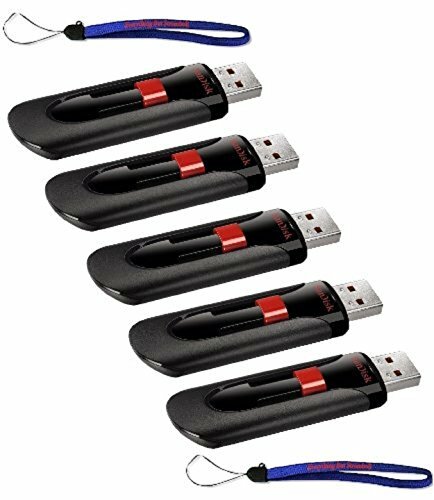 View More In USB Flash Drives. If you have any questions about this product by SanDisk, contact us by completing and submitting the form below. If you are looking for a specif part number, please include it with your message.